Did you know that prison inmates with a life sentence are not allowed to have Family Visits? Yep, it’s true unfortunately. Years ago they passed a law stating that only those inmates with non-life sentences could be entitled to a Family Visit. So I guess they don’t care about ‘preserving family bonds’ for inmates sentenced to Life Without Parole (LWOP) since they’re doomed to a life behind bars? What about our family, doesn’t it matter? I guess in their opinion LWOPs have no chance of returning to life outside the prison walls so they have not only taken away the inmate’s freedom but also their basic right to consummate their marriage should they get married, as well as the possibility of conceiving children with their spouse. This also applies to JWLOPs (the J is for juvenile), meaning that they were sentenced before the age of 18. Sean was sentenced as a 16 year old, now being a 28 year old man. But there is something called Senate Bill 9 and Senate Bill 260 that passed recently which allows JLWOPS to go before the parole board to have their case reviewed after 15 years in prison. If they are not released at this time, they get to go again at 20 years, and again at 25. So there are 3 possible chances to get released. But what will they return to if their “family bonds and chances of success” have been denied? What will their family bond be like after spending 15, 20, or 25 years without any kind of real Family Visit? With the chances for LWOPS to be released then, shouldn’t they be allowed Family Visits? One of the other reasons we are so shocked that they do not grant these Family Visits to us is that it discriminates against our religious values. The prison feeds inmates who are Jewish a kosher meal and allows Muslims certain special rights that other inmates do not get but it will not allow what the Bible clearly lays out as a natural right: “Married couples should have regular sexual relations. Permanent abstention deprives the other partner of his or her natural right. Both husband and wife have conjugal rights and exclusive possession of the other in this area.” (1 Cor 7:3-4) Sean and I believe in God, we believe in the Bible, and it is not totally uncommon to do so yet here they are discriminating against it. Sean and I have both said that if he somehow were allowed Family Visits we would already have gotten married. Without a Family Visit if Sean and I were to get married while he is still in prison we would be allowed nothing more than what we already have together which is extremely limited. This would also mean our ability of conceiving children while he continues to remain wrongfully incarcerated would be next to nothing. We both really want to have children, but as of this moment the state of California is denying us the ability. They are taking away my rights too. So what’s in it for us theoretically if we decided to get married right now besides wearing the rings and being legally husband and wife? How can we let something like that stop us from being together as a family the way we feel so strongly in our hearts? This is something we have been discussing together for a while. Right nowI feel that this situation takes what should be a joyful occasion to celebrate and turns it into a bittersweet heartache. I think it’s harder for Sean and I specifically since we know for a fact he is innocent. If this were not the case it would sway my decision in a completely different direction. This is not his fault. He does not deserve to be in this situation. But then again, neither do I. 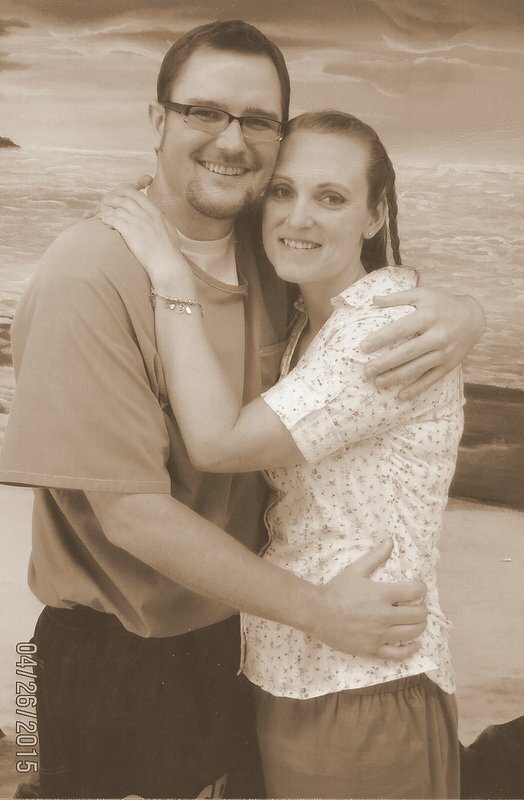 This entry was posted in life in prison, wrongful conviction and tagged JLWOP, prison relationships, wrongful conviction. Bookmark the permalink.